The Nigerian National Petroleum Corporation (NNPC) has said that there was never any transfer of 55 per cent equity interest of the Nigerian PetroleumDevelopment Company (NPDC) in Oil Mining Leases (OMLs) 30, 34, 26 and 42 to Atlantic Energy Drilling Concept (AEDC). This clarification was contained in a letter dated April 30, 2013, and addressed to the Senate Committees on Petroleum Upstream and Downstream, following a petition by a group, Restoration Niger Delta (RND), dated March 4, 2013. The letter, signed by the group managing director of the NNPC, Engr. 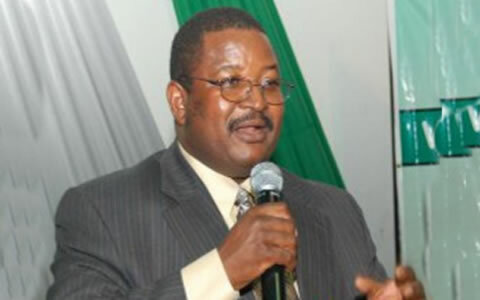 Andrew Yakubu, which was sighted by LEADERSHIP, explained that the entire arrangement which the Corporation entered into with AEDC was in line with industry best practices, contrary to the allegations of the group. The letter captioned “Re: The unspeakably fraudulent allocation of national petroleum assets to Mr. Jide Omokore and Mr. Kolawole Aluko by the incumbent honourable Minister of Petroleum,” informed that the entrance fee paid by AEDC was to acquire the right to fund and not payment for the acquisition of participating interest in the leases.